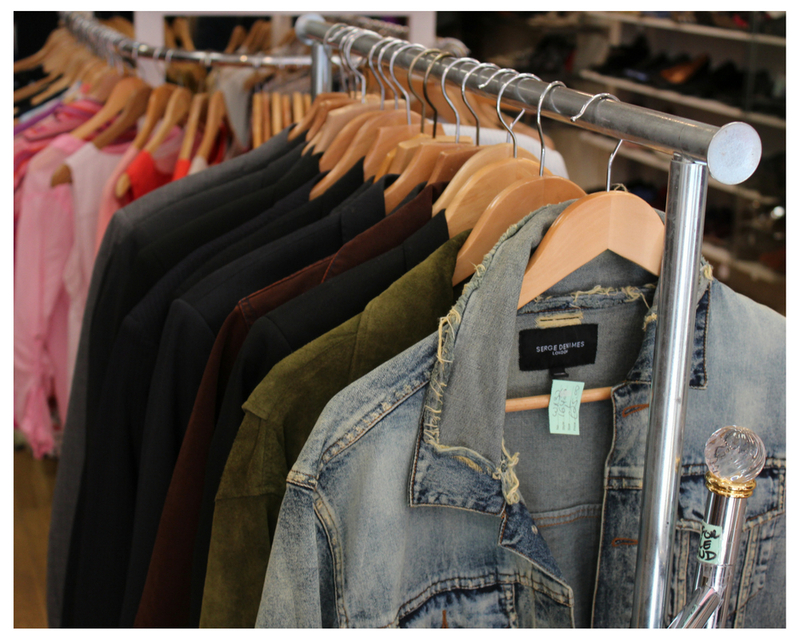 This Summer, our two St John’s charity shop’s are bursting with designer bargains and treasures ready to be bought and given a new lease of life. You’ll find our original long serving store located on the quaint St John’s Wood High Street and our newest store set on the vibrant Finchley Road. 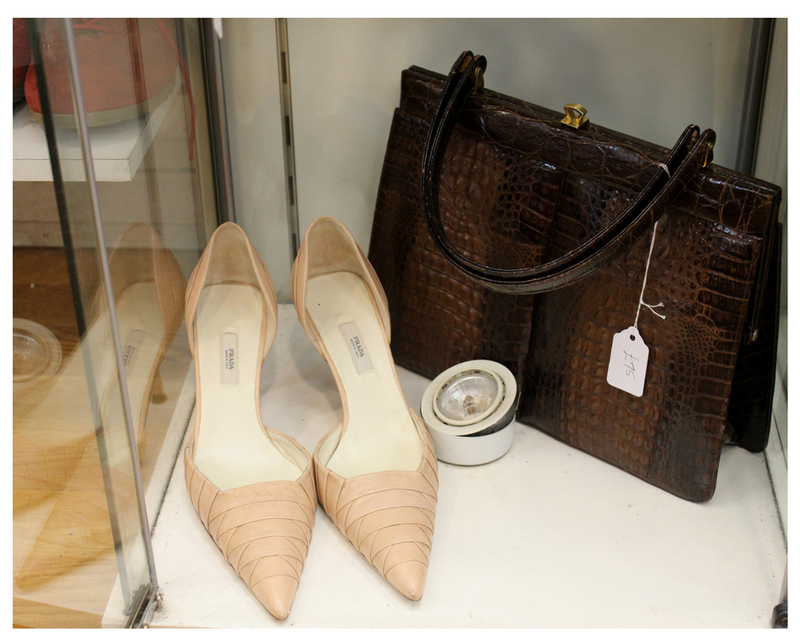 Inside our Hospice shops, expect to find a wide collection of donated items such as; beautiful silk scarfs, small leather goods, a selection of vintage crockery, collectables and antiques along with British and Italian mens & womenswear, not forgetting a selection of pre-loved good-quality shoes. 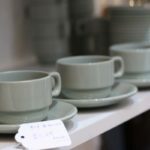 With this in mind, as a fashion lover, designer bargain hunter and long-time customer of St John’s Hospice and now marketeer at St John’s, I had great pleasure putting this Summer spotlight together featuring our favourite finds. 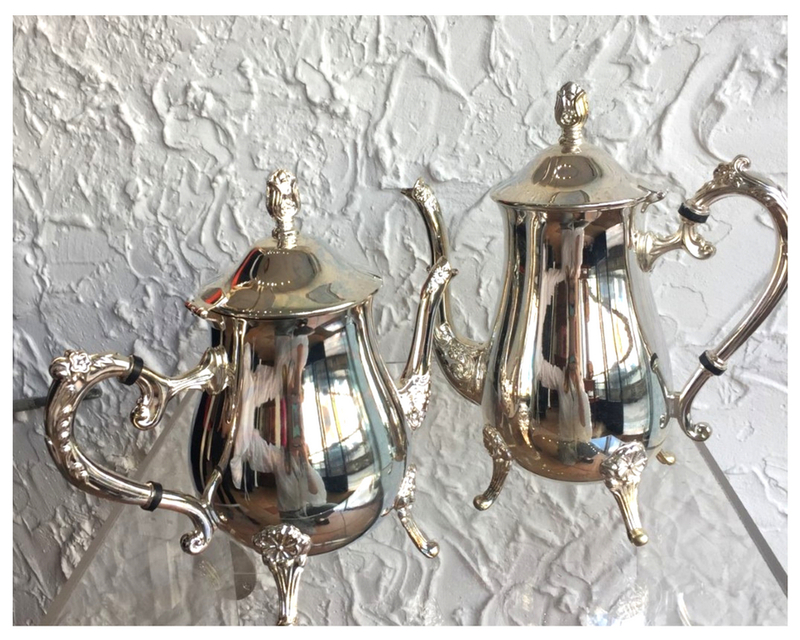 Get together with friends and be the host of your own royal tea party with these antique Indonesian made tea pots – Priced from £40 for the smaller one and £50 for the larger one. 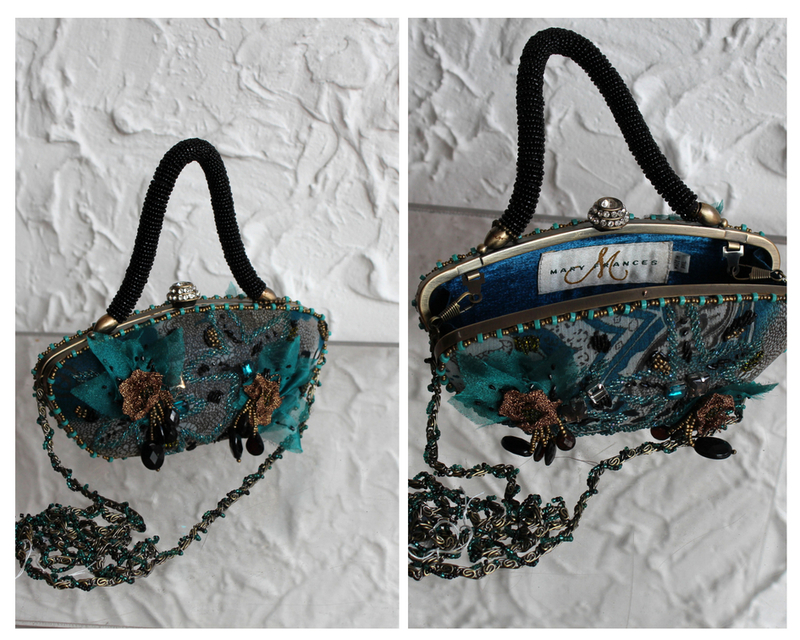 Intricate hand crafted beaded and embroidered designer Mary Frances bag for that special evening occasion – Price £40, As Seen. 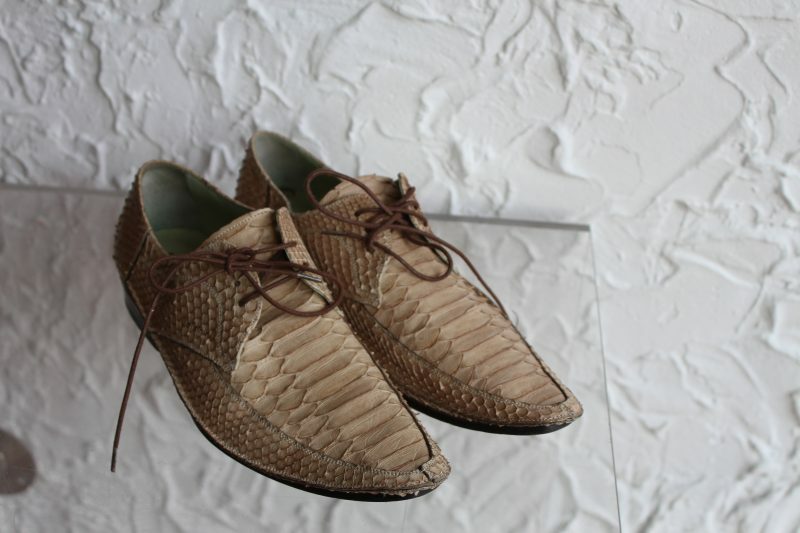 Let your shoes do the talking with these beautiful Italian made designer Baldinini snakeskin brogue-eske shoes – Price £30, Size 37.5, Minimal wear. You’ll find a small collection of fine Italian & British made, made-to-measure menwear suits currently on sale – a perfect trans-seasonal staple for any wardrobe. 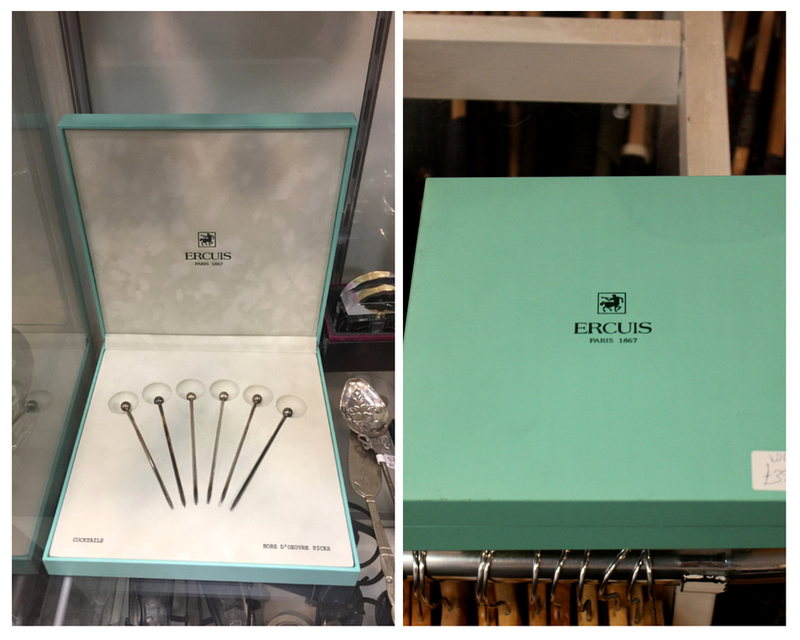 To compliment, we have a limited number of antique cuff-links dated from 1970’s recently donated in store. 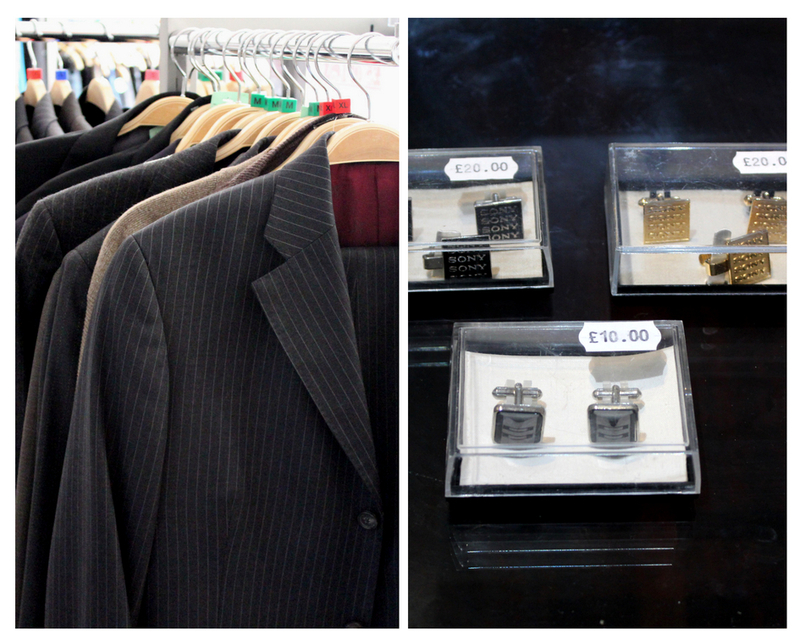 Italian and British-Made Tailored Suits On Sale Priced From £5 – 10. Antique Cuff-Links Priced From £10 – £20. 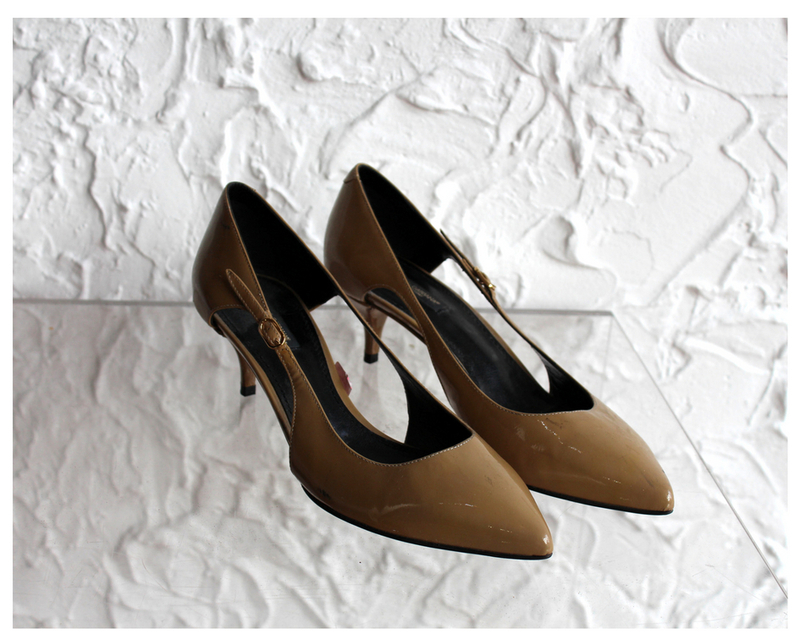 Dress from the feet up with these on-trend patent leather kitten heeled designer Dolce and Gabbanna shoes –Price, £40, worn once. Made in Italy. In our Finchley Road store you may find more in the way of home interiors and home furniture due to the store being slightly bigger to house than our St John’s Wood store. 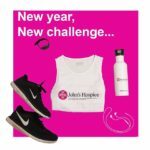 Shop more ethically and sustainably whilst supporting St John’s Hospice. 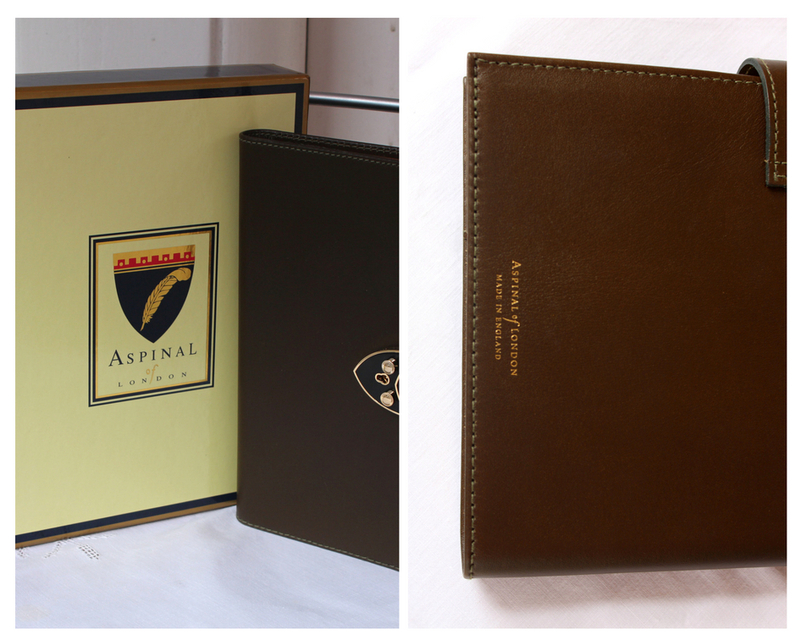 Record all your minutes in this stylish brand new & boxed Aspinal of London leather notepad – Price £50, Brand New. 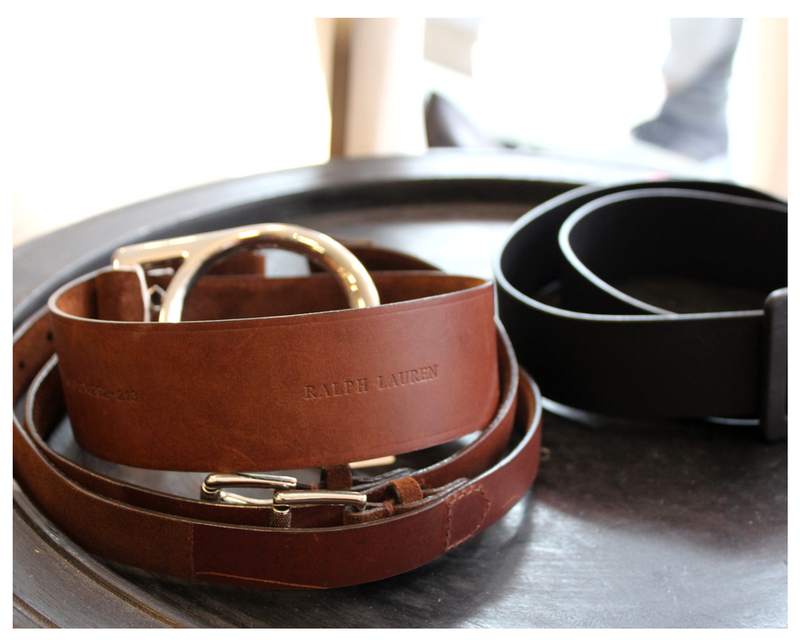 We have a collection of statement women’s belts all in new condition by designers Ralph Lauren, Marni and 3.1 Philip Lim– Priced from £25 – £30. Like new condition. Pair these dusty pink Prada shoes with straight-leg jeans for dress-down evenings and add in a staple classic vintage leather bag to headline any look. Our St John’s Hospice charity shops are in need of good-quality donations for both shops, with all proceeds raised going to fund our broad range of hospice services. Donated items could include; homewear, crockery, clothing, shoes, accessories, leather goods, art, sporting goods etc. 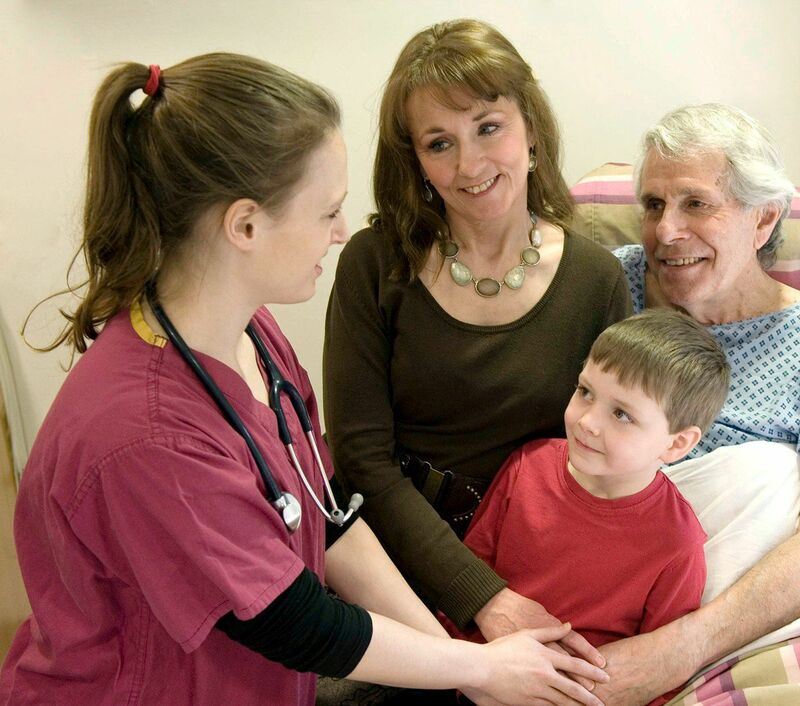 By donating your unwanted items to one of our charity shops, you’re supporting our hospice in providing free-of-charge palliative care and support to over 4,000 patients and their families across North-West London every year. To donate, please visit our shops directly. Both our shops are Open Mon- Sun. Please see timings for individual store times. 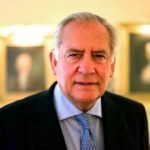 We are extremely grateful for all donations and the fantastic support from the community.